Just got home after an awesome ten day vacation in Ladakh with my boys. I’ve been telling them stories about my rides to the Himalayas and thought it would be a good idea to introduce them to the mighty mountains. 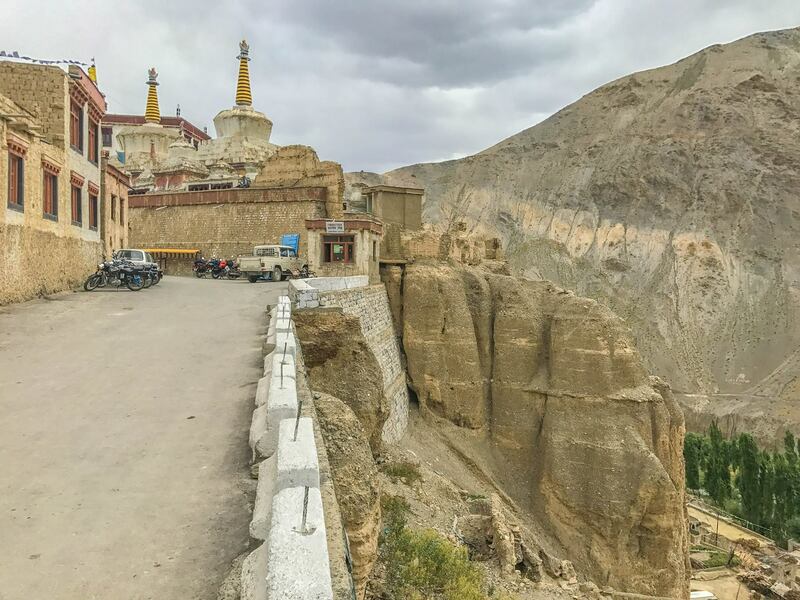 We used Leh as a base and visited places in all four directions. 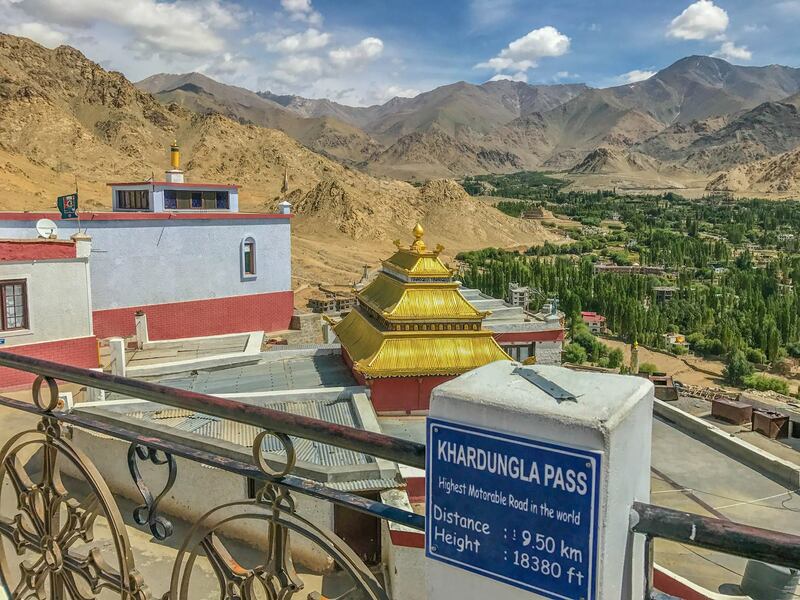 We scouted a few monasteries and crossed three high mountain passes – Khardung La, Chang La and Taglang La. 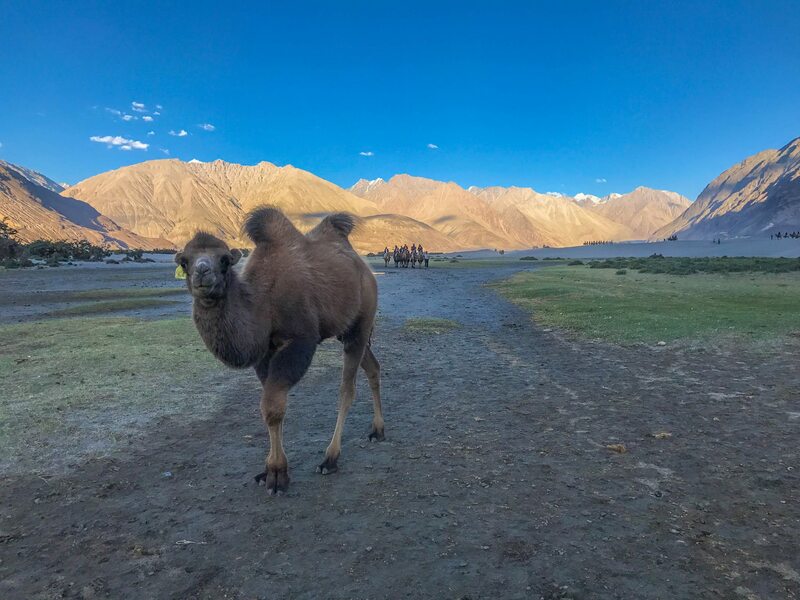 We stayed at camps in Pangong Tso and Uleytokpo and rode the double hump camels at Hunder in Nubra Valley. 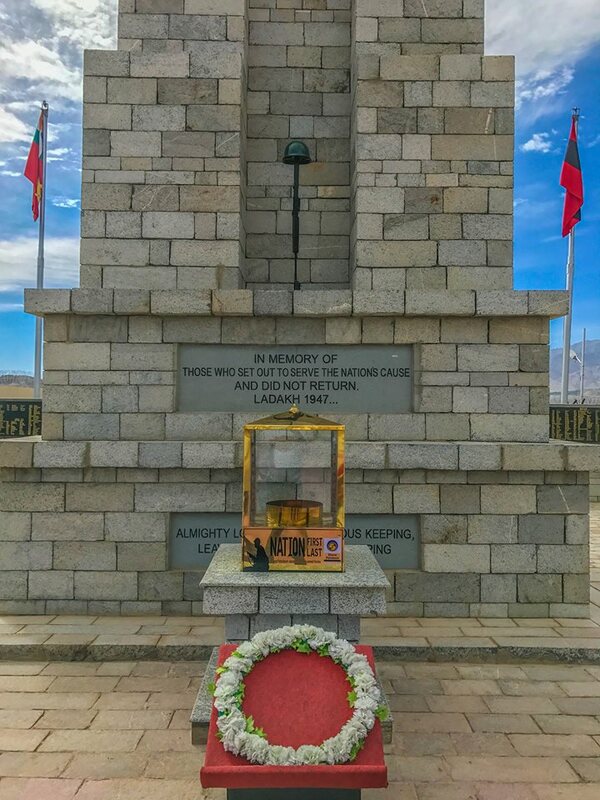 The last day was supposed to be a rest day in Leh. Instead we spent it at Tso Kar skipping stones on the lake surface. The best part of the vacation was the boys’ first experience of snowfall at Chang La. Being late summer, I had told them that we would be lucky to find some old hard packed snow at the mountain passes. 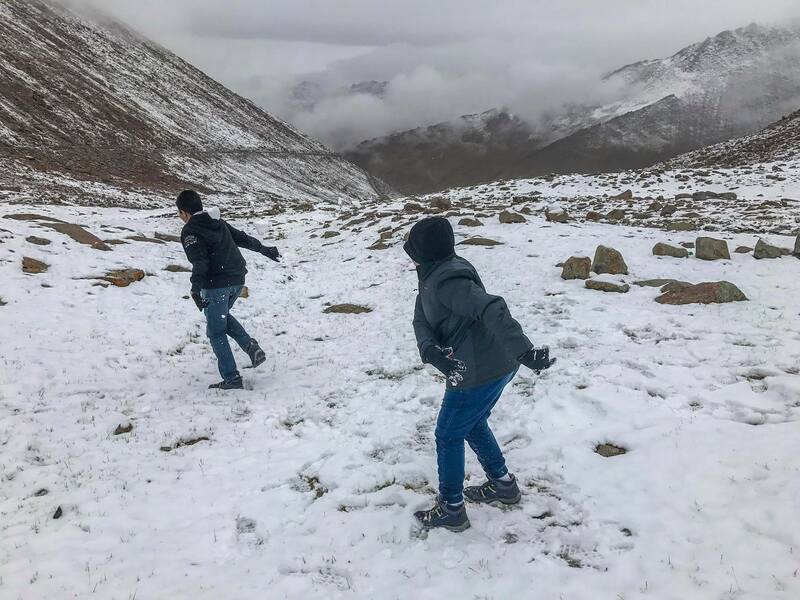 But it seems like winter has arrived early in Ladakh this year and we got fresh snowfall at Chang La. The boys had a blast playing in the soft beautiful sparkling white snow with Russell saying to me, completely cold and exhausted, that it was the best day of his life. 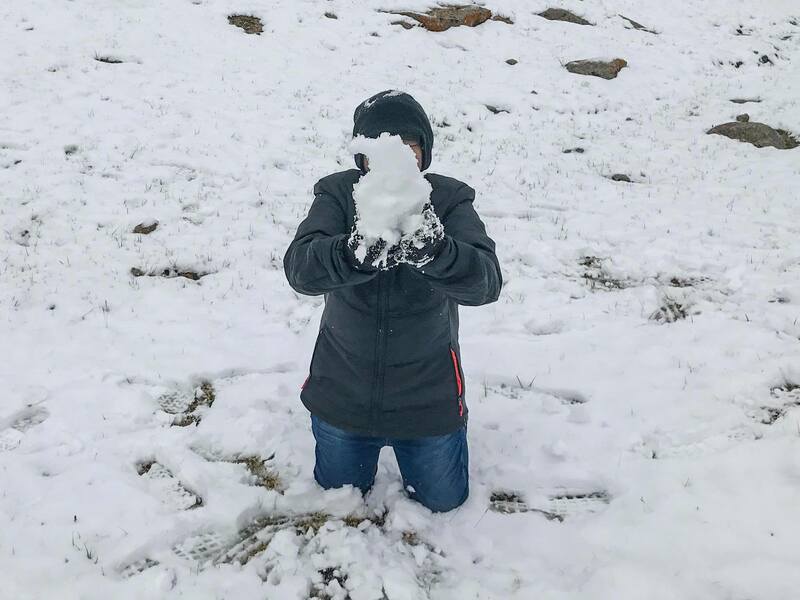 Reuben came up with the idea of making a snowman. 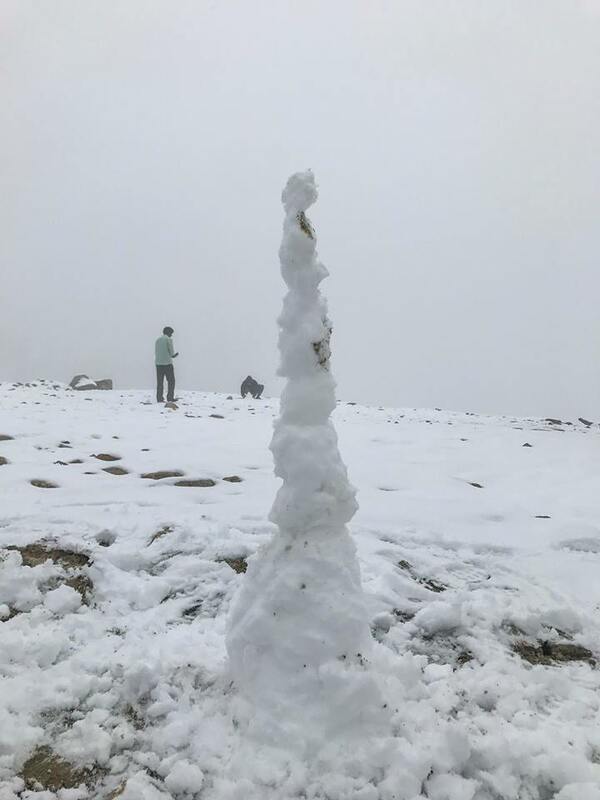 But we ended up making the Burj Khalifa instead which we knocked down using snow balls. 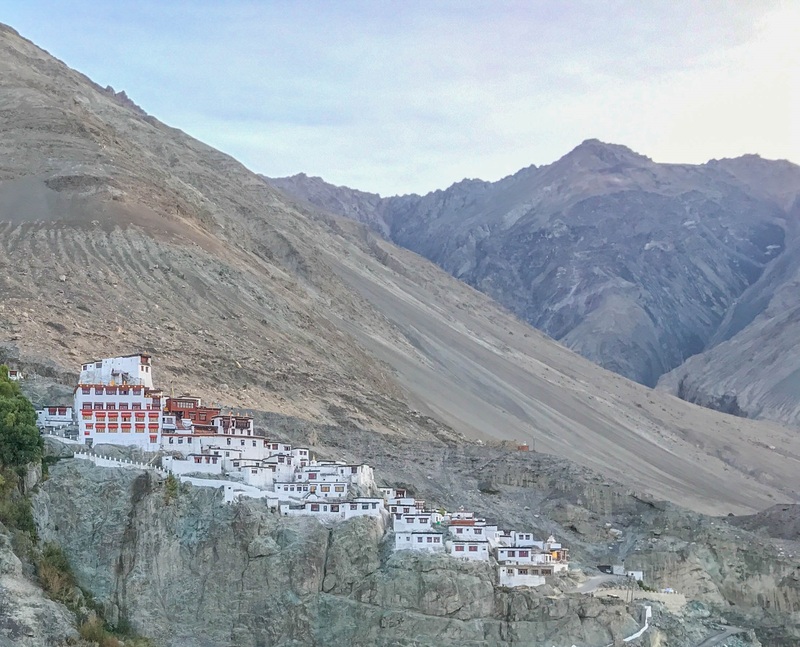 I used Rustic India, a travel company run by my school mate Felix Furtado, to plan our Ladakh vacation. I wanted to give my sons a Himalayan experience, but at the same time, not make it so tough on them that they don’t enjoy it. They aren’t old enough to rough it out like my friends and I do when we ride our motorcycles to the mountains in an unplanned manner, dealing with situations as they come. Rustic India came up with an excellent itinerary which used a nice hotel in Leh that we came back to every other night after an excursion to an interesting place. That way we could let the hotel in Leh deal with stuff like laundry and also have a warm bed to sleep on every other night. 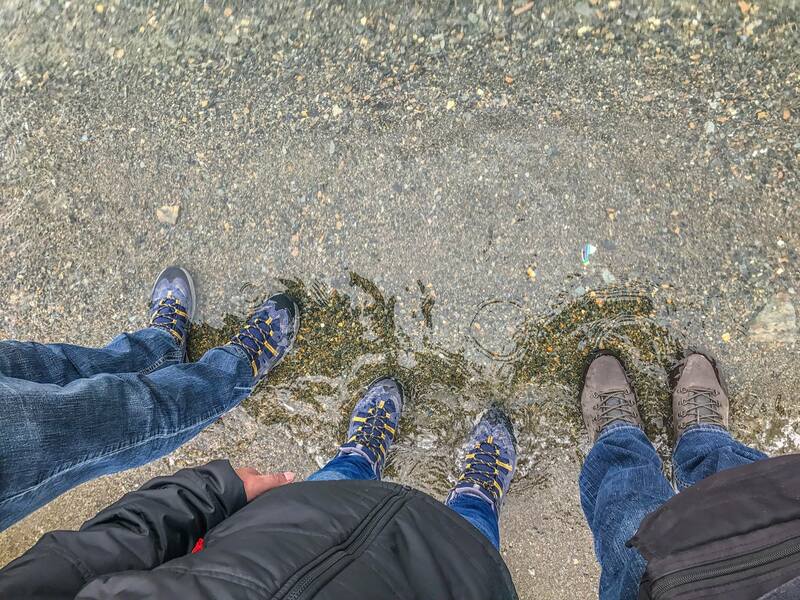 The boys got small doses of adventure and hardship which they enjoyed. Rustic India also organized a well maintained Toyota Innova Crysta with an experienced and safe driver to take us around Ladakh. 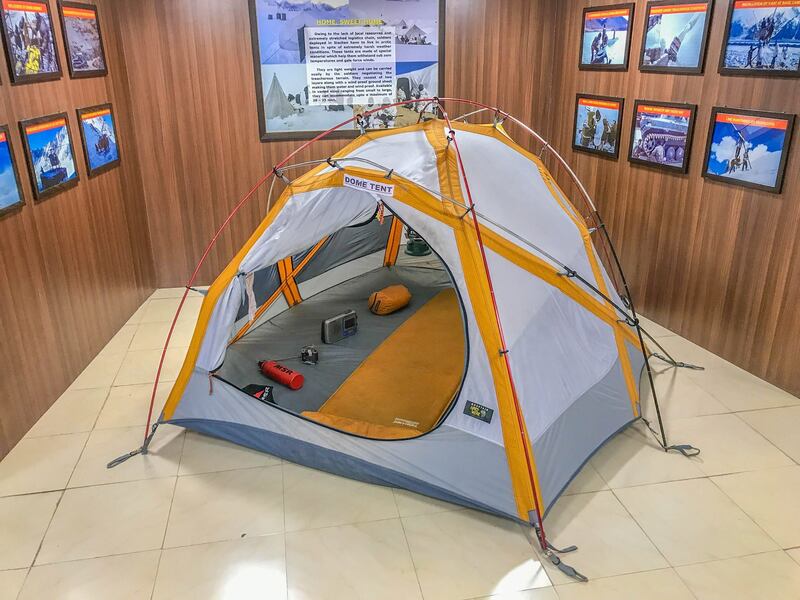 It was a tension free vacation with everything taken care of – stay, food, travel, permits, fuel. 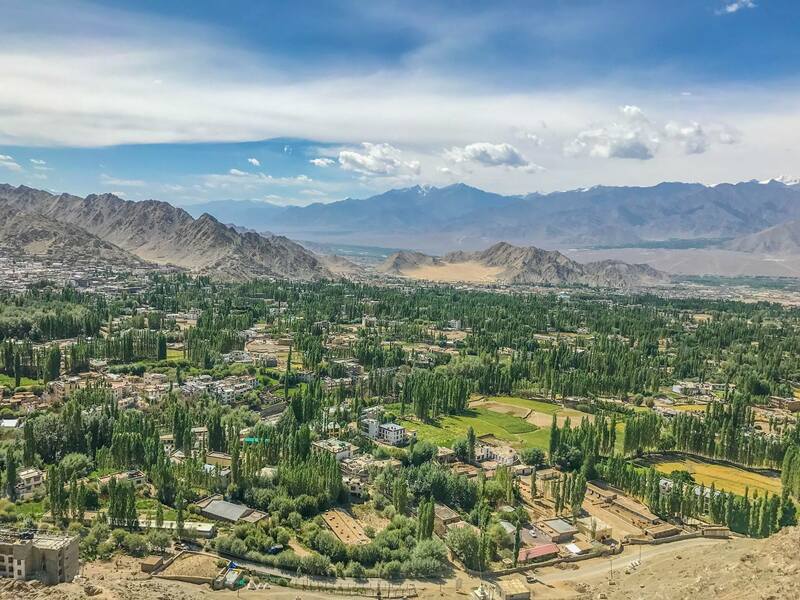 If you are planning to explore Ladakh with family, I strongly recommend this type of an itinerary. 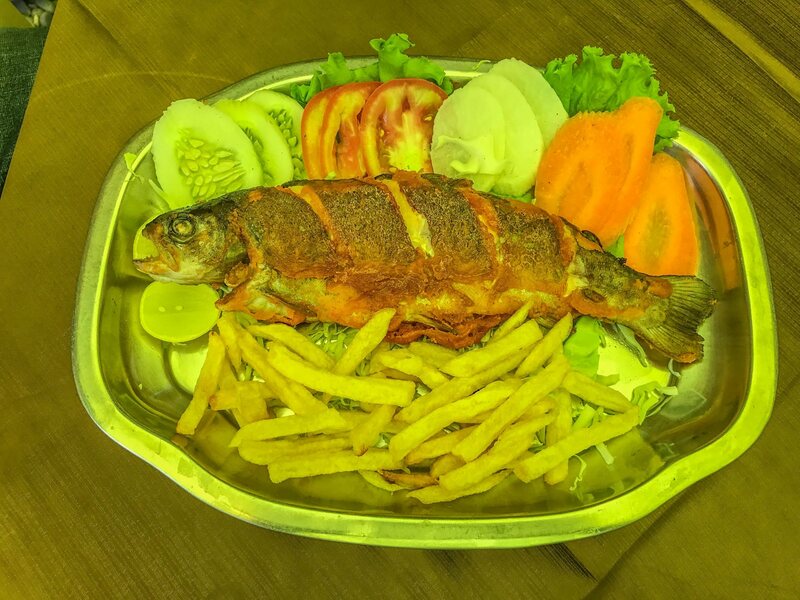 If you are foodie like me, one of the must do things in Leh is visit a restaurant called The Tibetan Kitchen and try out their rainbow trout. They make it three ways – grilled, fried and tandoor. We tried all three and had a tough time deciding which was best. 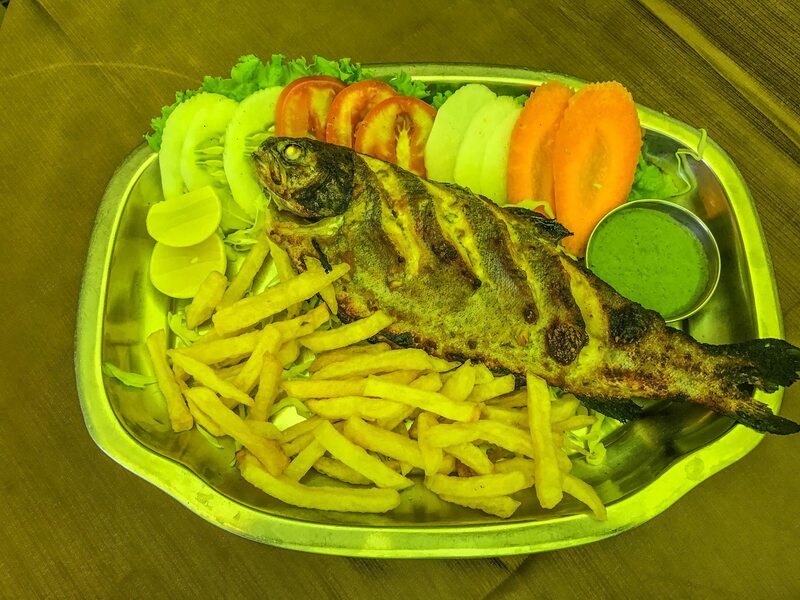 Contrary to popular belief, the rainbow trout served in Leh isn’t from the Indus River which passes by the city. 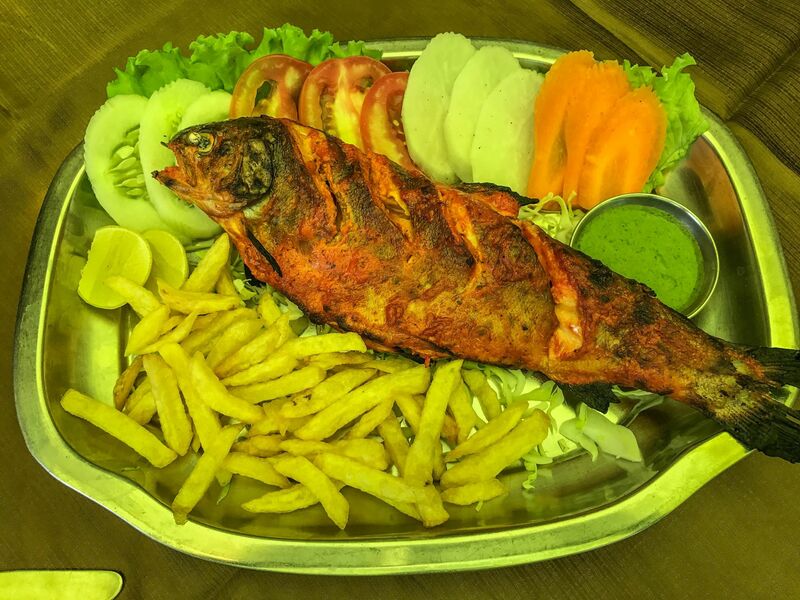 The fish comes all the way from Manali. Living in Goa, a peaceful tourist destination, its quite easy to be oblivious to the situation on our harsh borders with our not so friendly neighbors. 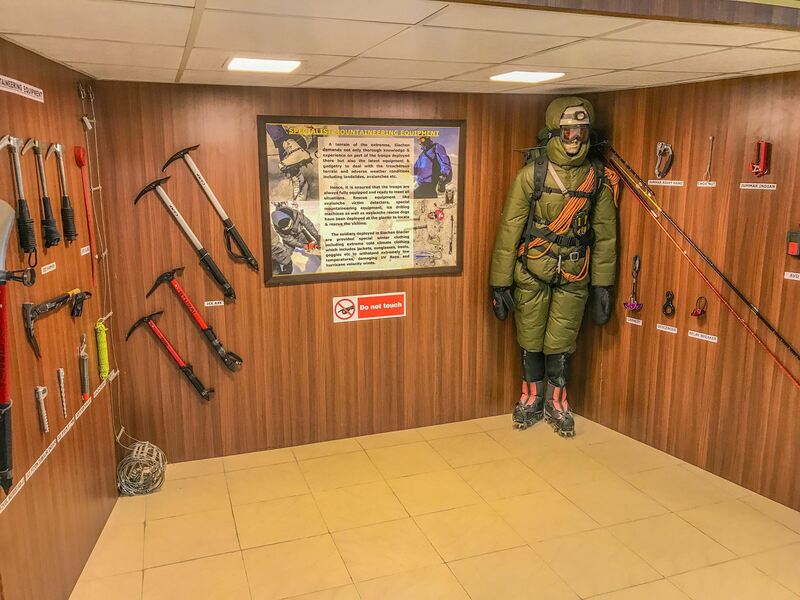 So after getting acclimatized to the high altitude, the first thing I did was take my boys to the Army museum and memorial on the outskirts of the city. There they learned a great deal about the wars that our brave soldiers fought over the years. 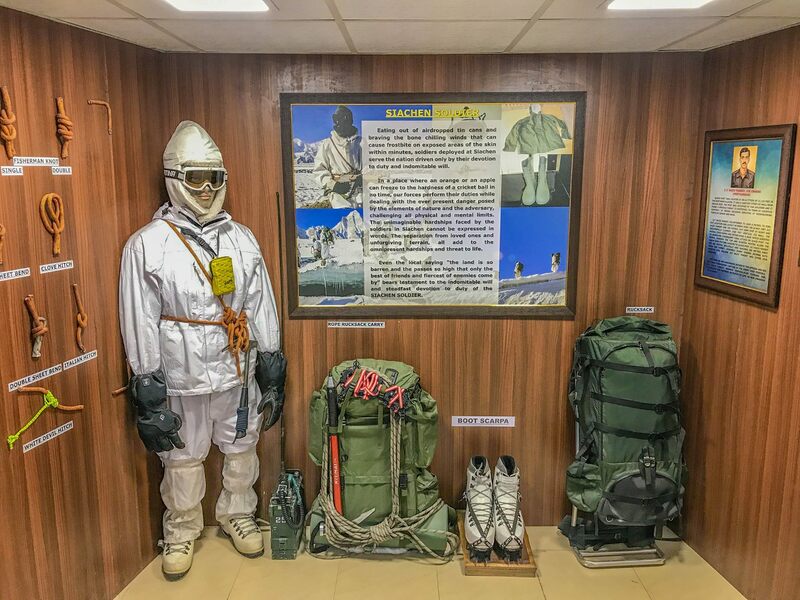 They also learned about the harsh conditions that our soldiers subject themselves to so that we can sleep peacefully at night in our comfortable climate controlled homes. 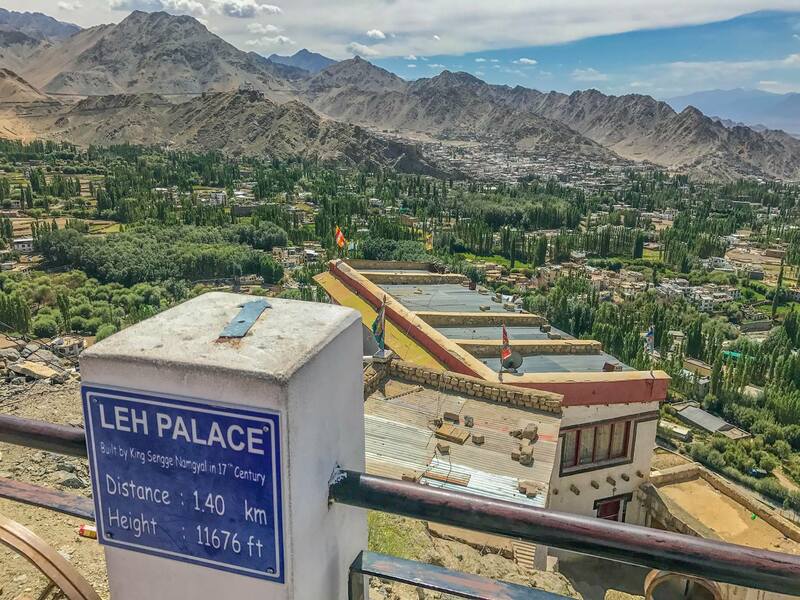 Ladakh is largely a peaceful area, but heavily militarized due to its proximity to the Line of Control with Pakistan and the Line of Actual Control with China. During our ten day vacation we crossed several army bases and convoys. My boys noticed me give passing soldiers a wave or a thumbs up and started doing the same. We stopped at Sangam Point on the Leh-Srinagar highway. 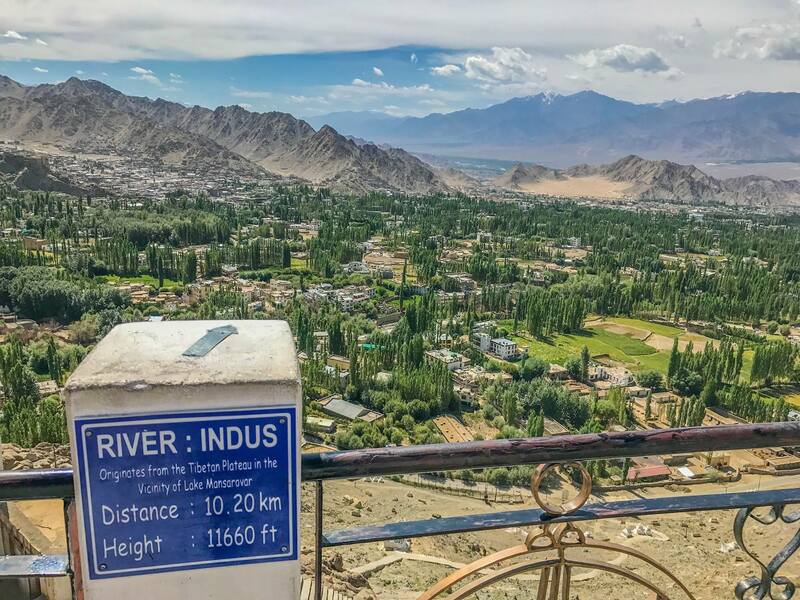 Sangam means confluence and this where the Zanskar river empties itself into the Indus river, which then flows into Pakistan. 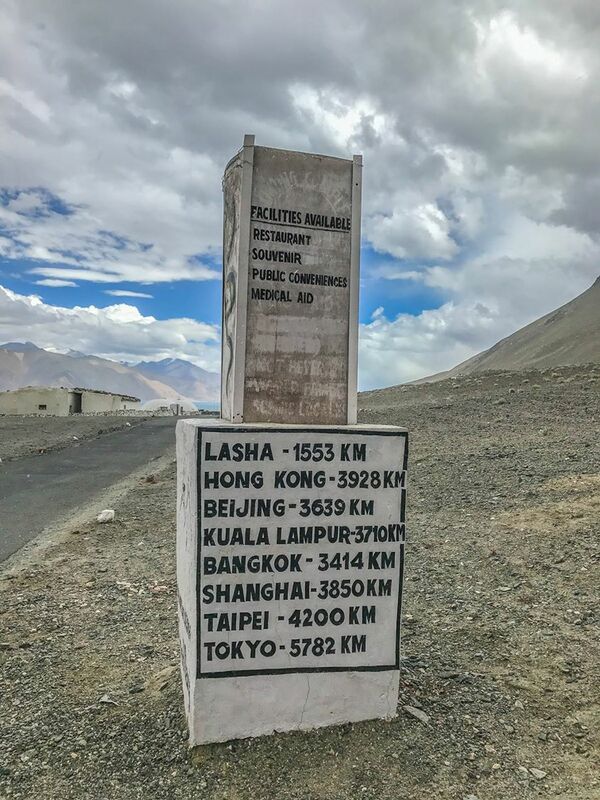 Magnetic Hill on the Leh-Srinagar highway reminds me of Sunrise Point at the Chorla Ghat. Yes, there is a place called Sunrise Point at Chorla Ghat. I learned about it on one of my morning breakfast rides to Chorla. 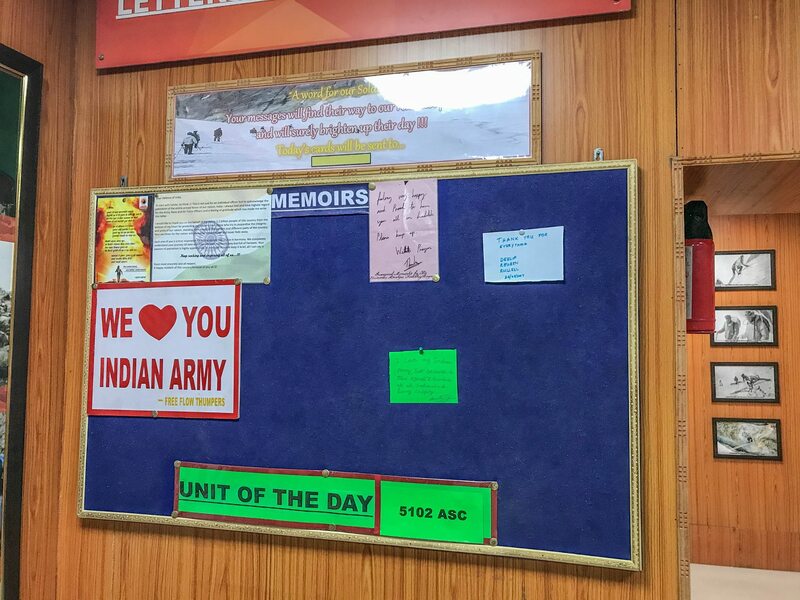 I had stopped at my usual dhaba on the Goa-Karnataka border and was sipping on a steaming hot cup of tea when a three Toyota Innovas packed with white tourists stopped at the dhaba. As the tourists stepped out of their vehicles I could see that they hadn’t slept much probably because they were late out partying the previous night. The fun started when a local guide who had led them there started pointing to something across the valley. Then I heard him say, “Sorry, but today its cloudy. 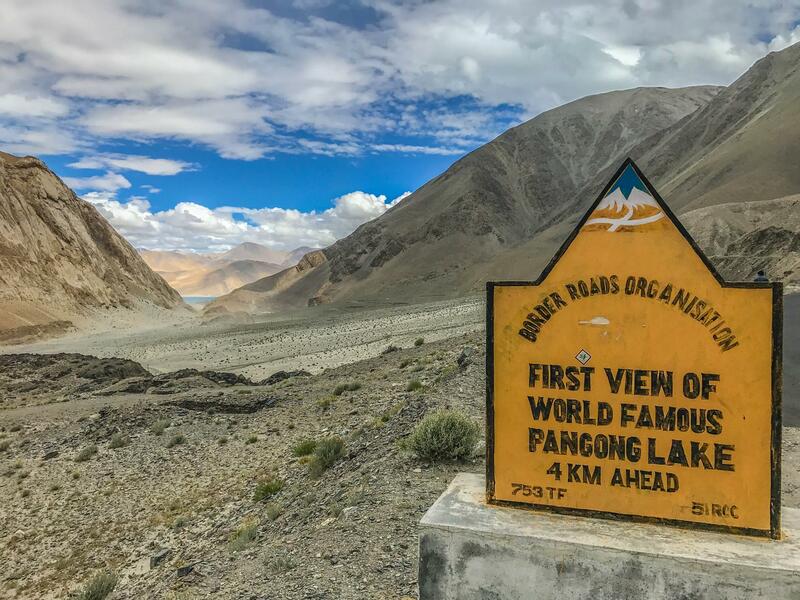 We won’t be able to see a clear sunrise.” The tourists then clicked a few pictures of the cloudy sky along with a few selfies, filed back into their vehicles and drove back down the ghat. 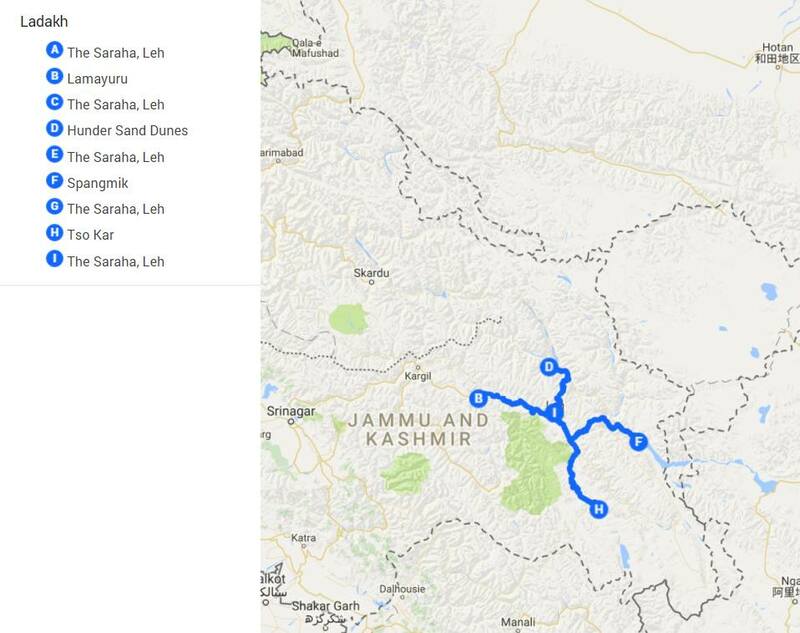 I’m guessing some smart Ladakhi came up with the concept of Magnetic Hill in a similar manner. It’s a road that slopes gently downwards and faces a hill. So if you start rolling your car down with the engine off, you supposedly get the impression that you are moving up the hill against gravity. At least, that’s the story that they have been peddling to tourists who flock to this place. We were passing Magnetic Hill on the way to Lamayuru and I stopped to see if I could peddle the same story to my sons. I explained the concept to them and then asked the driver to place the car in the box marked on the road and let it roll. They quickly figured out the con and urged the driver to carry on and stop wasting their time. 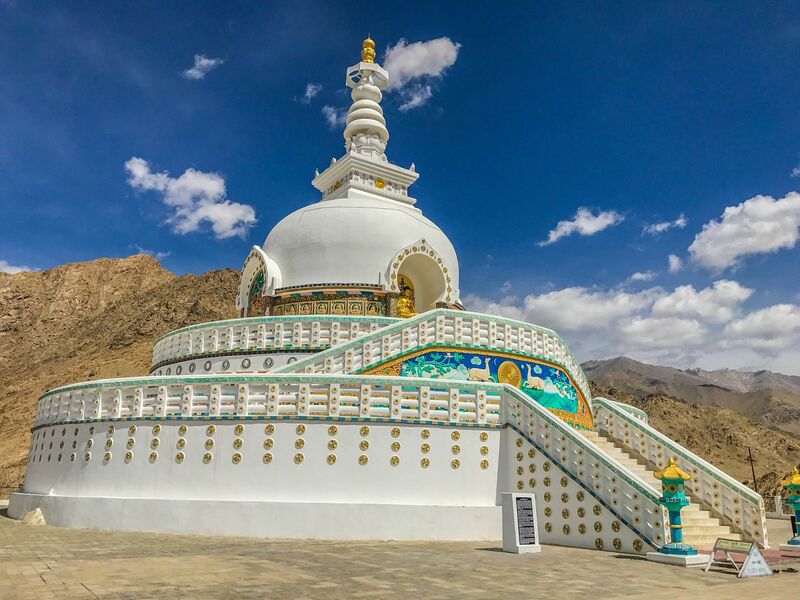 Ladakh, being predominantly Buddhist, is filled with stupas, also known as chortens. These are usually be found by the side of the road or at the peaks and ridges of hills. I’m told they contains the remains of Buddhists monks or nuns. 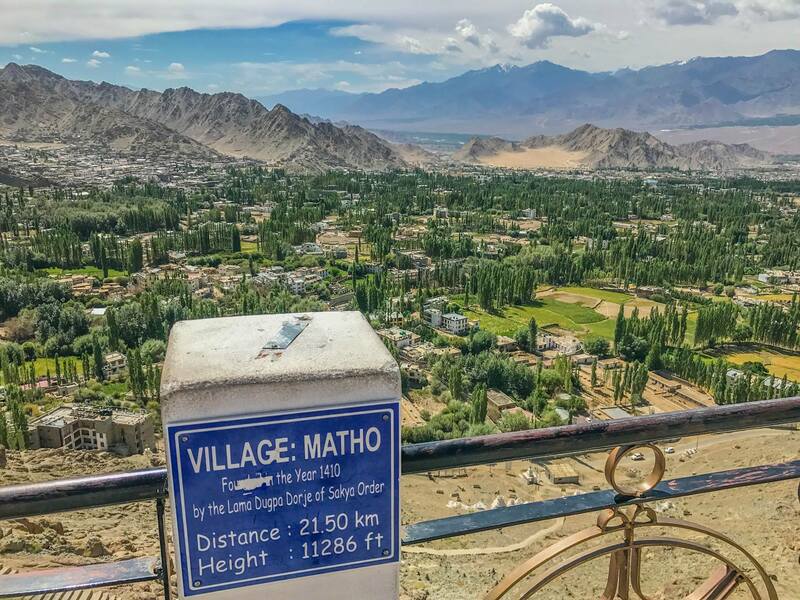 Leh has a huge one called Shanti Stupa on the Chanspa hilltop. Wikipedia tells me that it was built in 1991 by Japanese Buddhist Bhikshu, Gyomyo Nakamura and part of the Peace Pagoda mission. 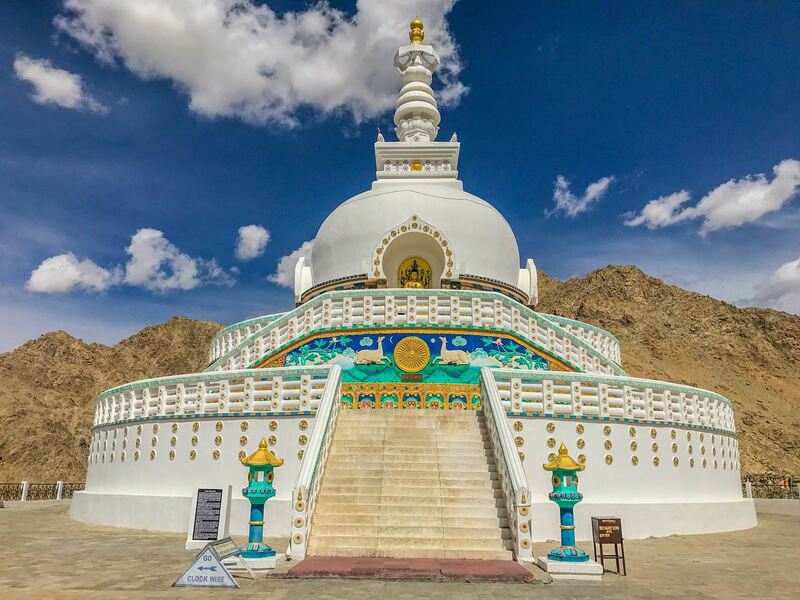 The Shanti Stupa holds the relics of the Buddha at its base, enshrined by the 14th Dalai Lama. 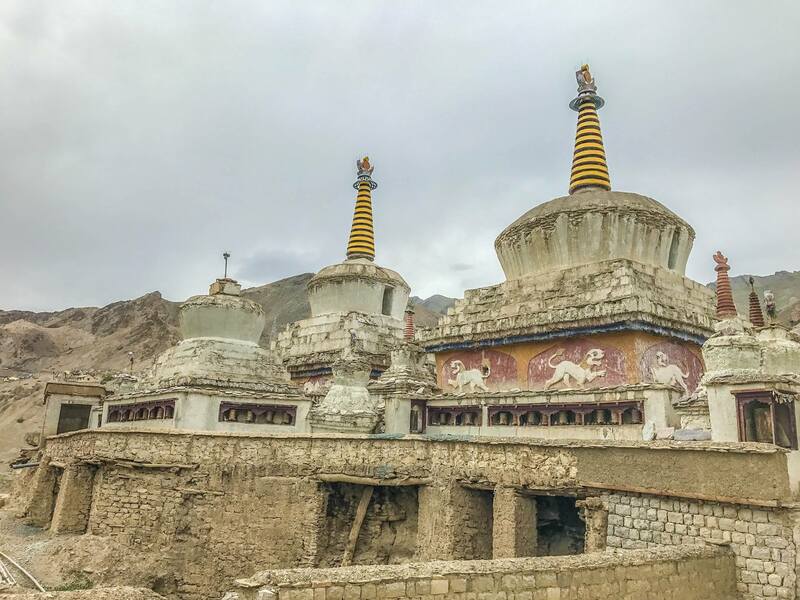 The Shanti Stupa has become a huge tourist attraction, not just due to its religion importance, but also because you get a beautiful panoramic view of Leh and its surrounding areas. We went there in the morning when the sun was up. But I guess the setting sun in the evening would be a wonderful time to visit the monument. 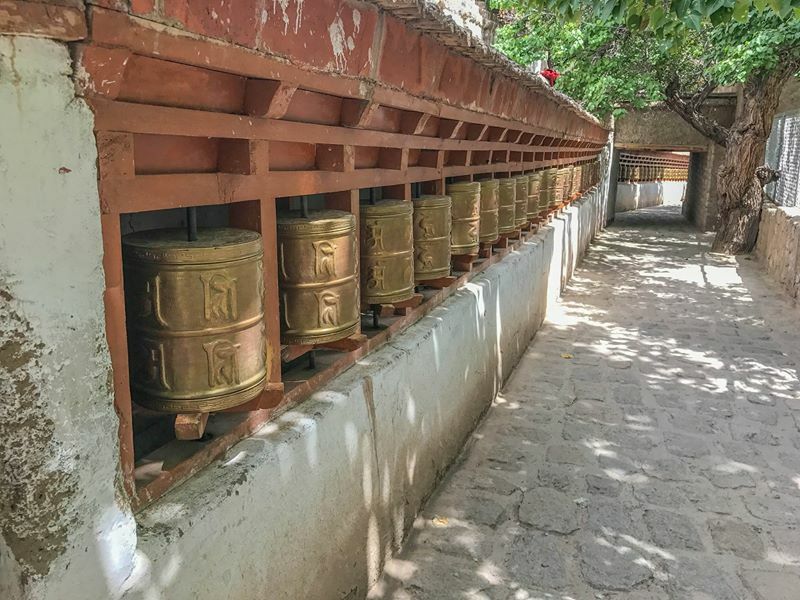 Prayer wheels of all shapes and sized can be found in Ladakh. But the one I liked the most was a cute little thing in the Alchi monastery. 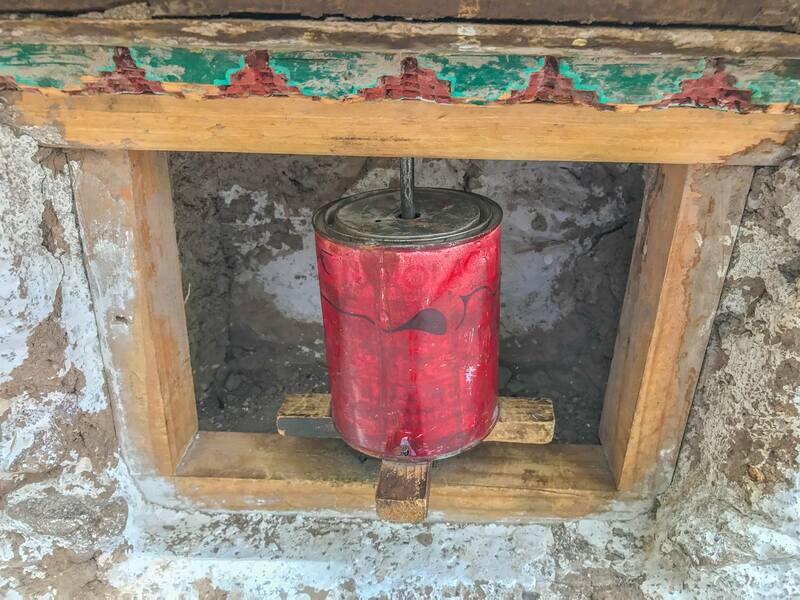 The monk who came up with this piece of art sure has an inclination towards jugaad. Moonland is a place near the village of Lamayuru and unlike Magnetic Hill it isn’t a con. 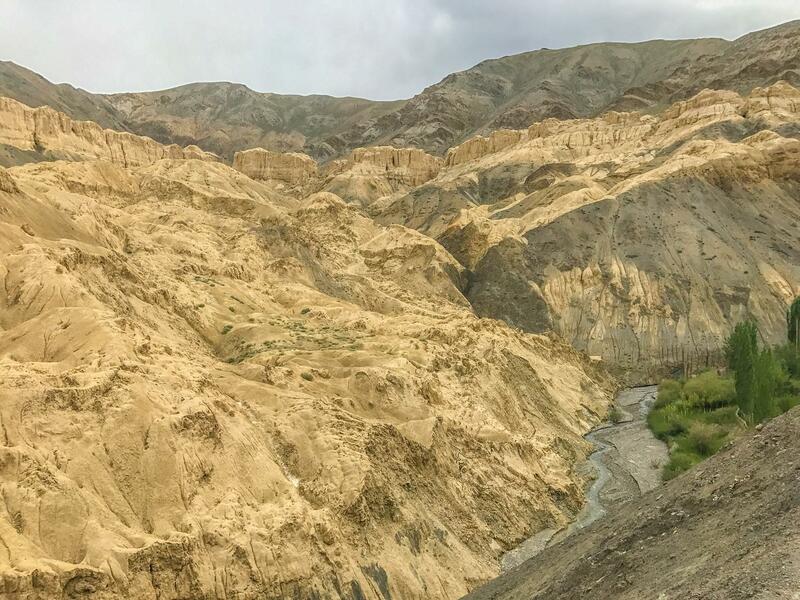 It’s a collection of flaming yellow hills that don’t look like anything else in the whole of Ladakh. I’m sure there is an valid geological explanation for their appearance. 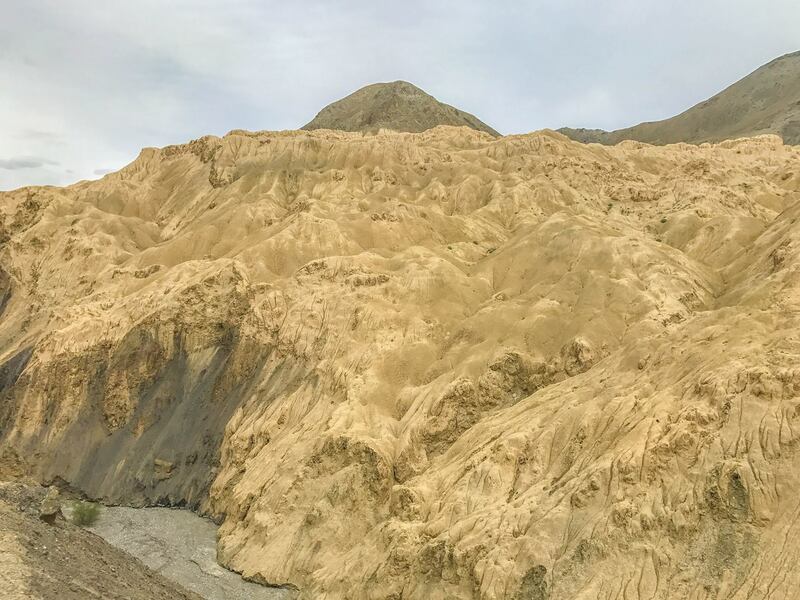 But it definitely worth the 100 km drive from Leh just to see the sight. 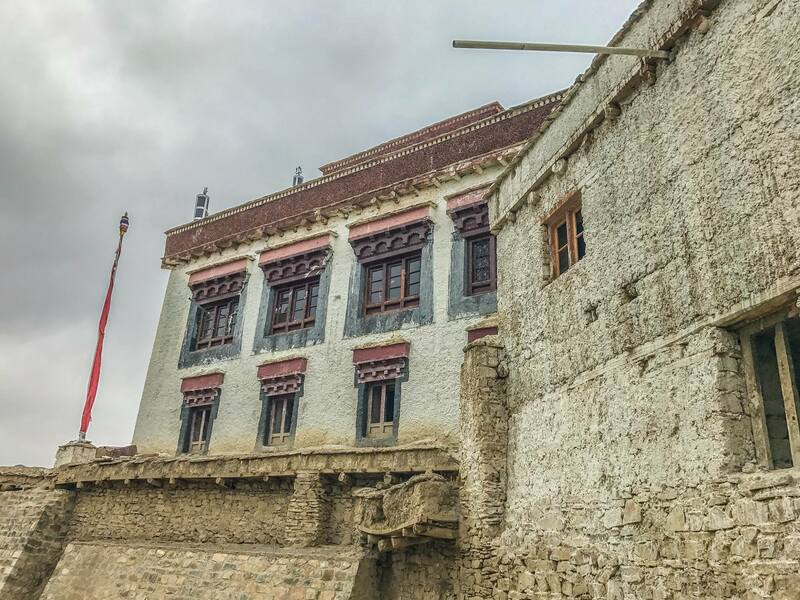 People visiting Moonland usually also visit the nearby Lamayuru monastery which is perched high up on what looks like a porus and eroding hillock. I first came across bactrian camels while riding through the steppes of Mongolia. 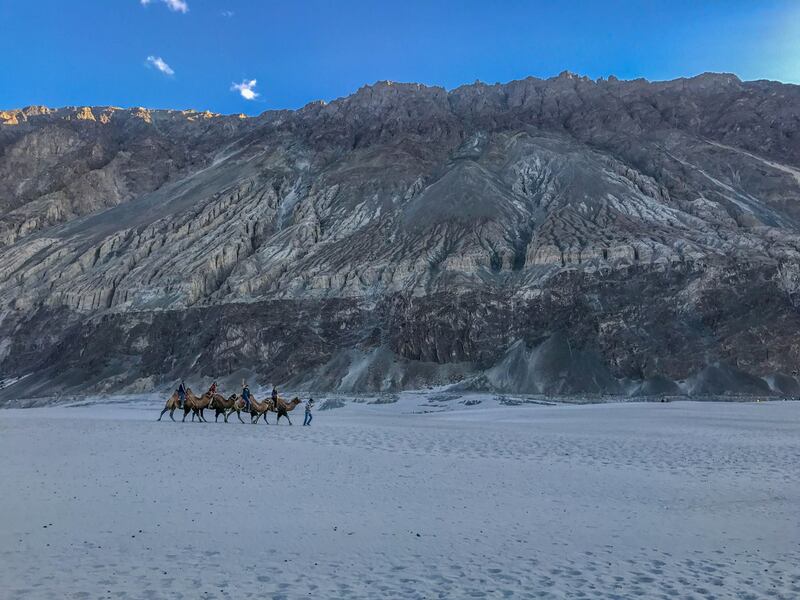 My second encounter with them was in Hunder, a high altitude desert in Nubra Valley, which was a stopover for caravans traveling along the Silk Route. 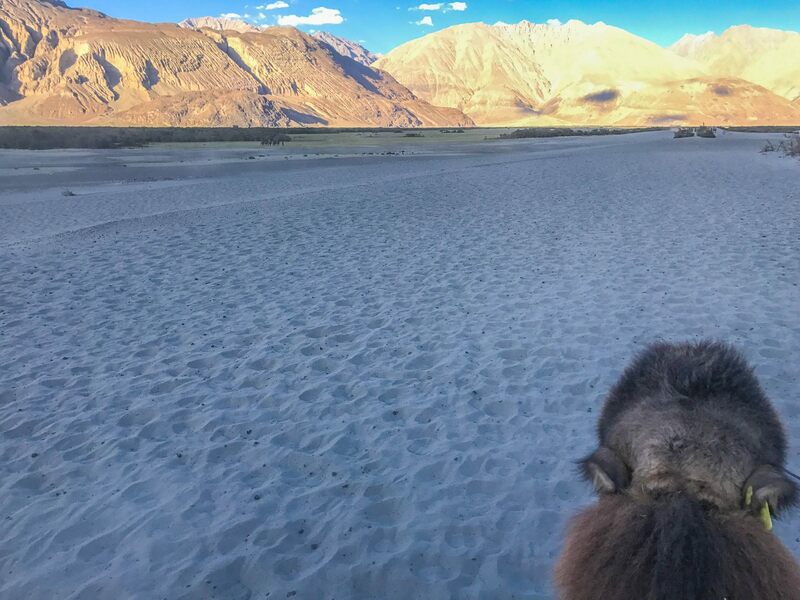 You can’t find these double humped camels anywhere else in India. My boys and I went for a short camel ride across the sand dunes and loved every bit of it. 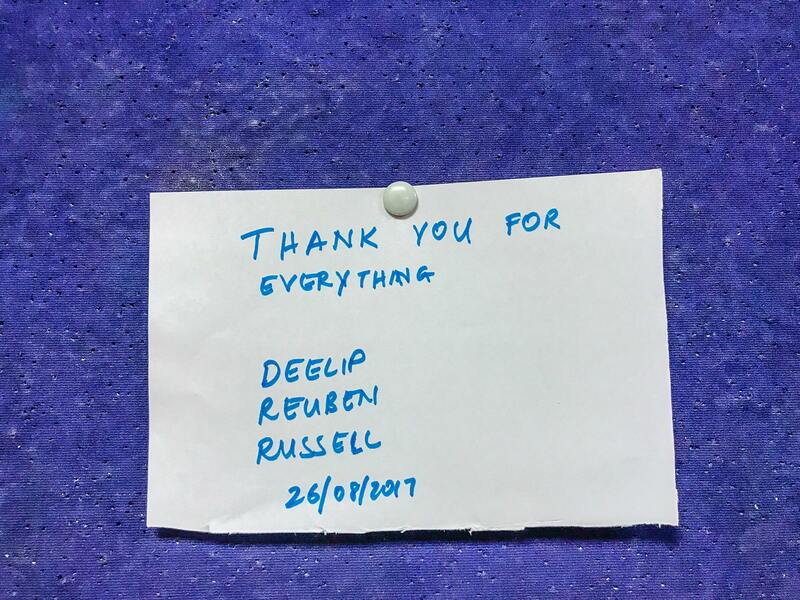 It was a wonderful experience. 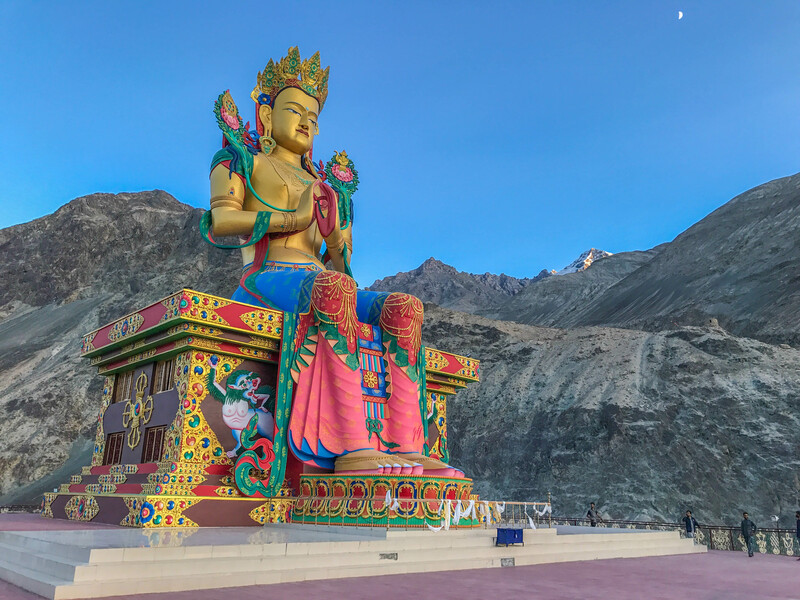 One of the main tourist attractions in Nubra Valley is the huge 106 foot statue of Buddha near the Diskit monastery. 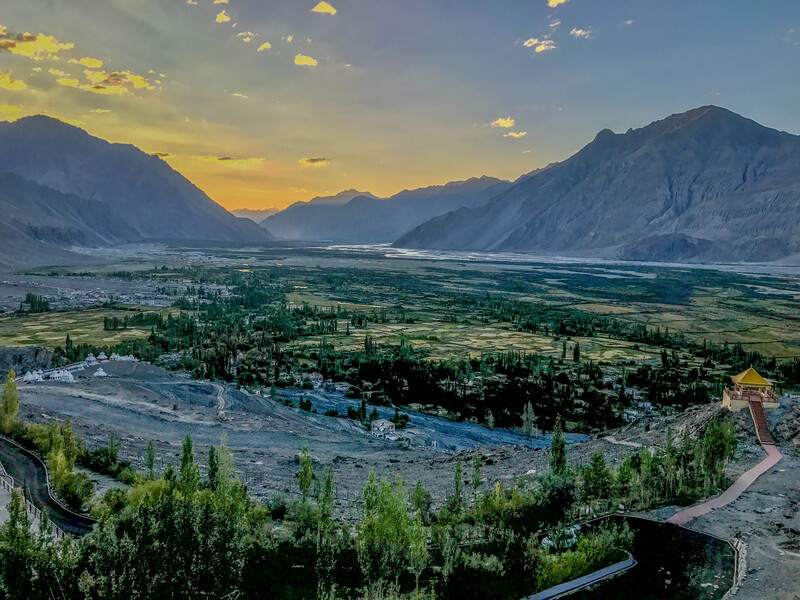 The statue faces down the Shyok river towards Pakistan. 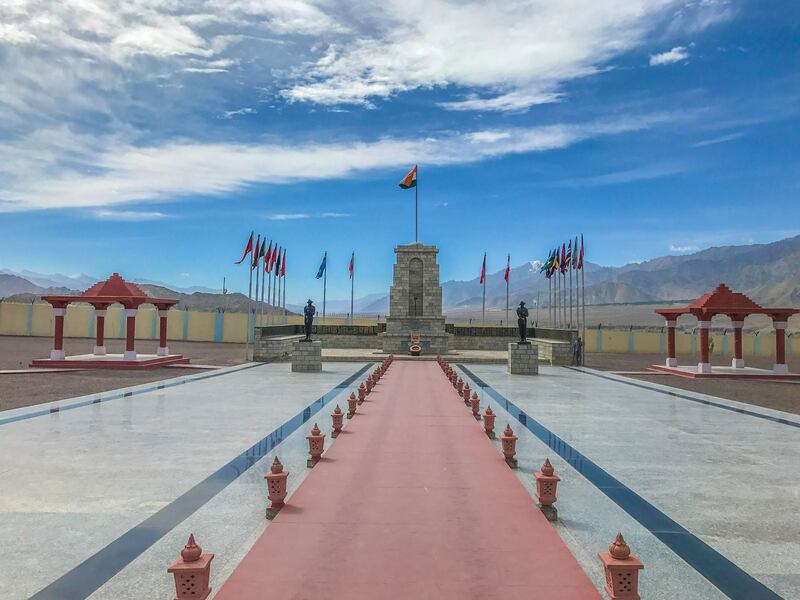 The statue has three purposes – protect the Diskit village, prevent further war with Pakistan and promote world peace. We visited the statue around sunset and were rewarded with an amazing view of the Diskit village and the Hunder sand dunes far in the distance. It was a truly peaceful moment, one that I will remember for a long time. 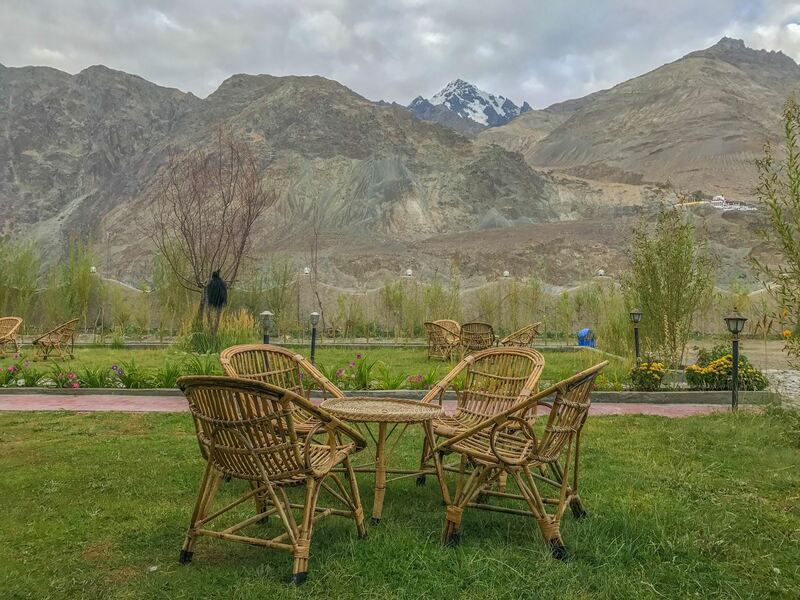 The view from our hotel room in the Diskit in Nubra Valley. 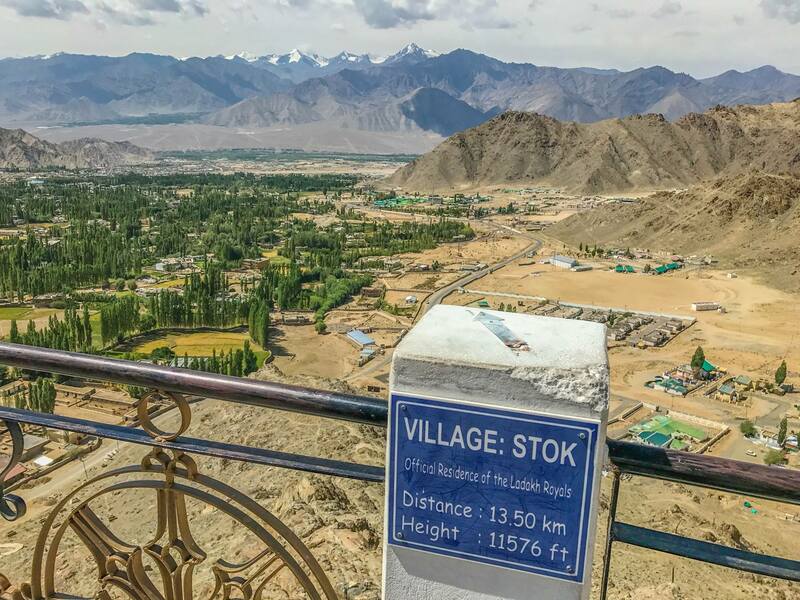 This village is so remote that the government supplies electricity every alternate day for a few hours. That is if the folks in the electricity department are in a good mood. So every evening a large diesel generator comes on and supplies electricity to the village from 7 pm to 11 pm. Then everything goes dead. My boys had a hard time wrapping their heads around the concept of a blackout. Back home in Goa, the inverter is connected to enough battery power to last the entire night. So lights and fans are always on. That night spent at Diskit was a little special to them. More so when I told them that there were villages even more remote, as far as 90 kms away, touching the border with Pakistan. There was this pretty interesting sign at the north end of the lake.